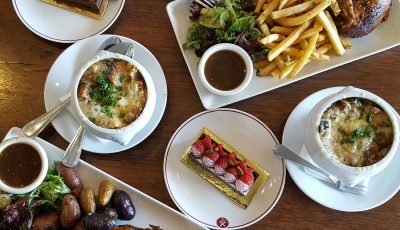 With so many terrific restaurants in the greater Newport Beach area, we don’t often venture far from home for our dining excursions, but sometimes it’s nice to leave your comfort zone and visit restaurants across the county line. 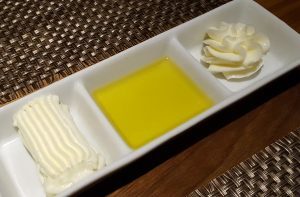 We were invited to dine at Chianina Steakhouse and Michael’s on Naples, both located within a block of each other in the Naples neighborhood of Long Beach. Chianina and Michael’s will both be serving their distinct cuisine at the inaugural Pacific Wine & Food Classic at Newport Dunes Aug. 19 and 20, and a month later at the Newport Beach Wine & Food Festival at the Newport Beach Civic Center, so we thought it would be fun to get a preview of what these restaurants have in store for us later this summer. After dining a Chianina and Michael’s on back-to-back nights, we understood why these restaurants are the talk of the town. Sounds like it could be an unusual dog breed or perhaps an exotic flower, but Chianina is actually a breed of cattle from Central Italy that dates back more than 2,000 years. 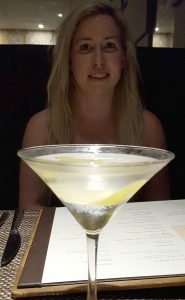 But before we got to the steaks, we perused the cocktail list. 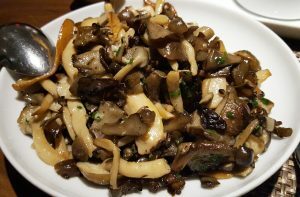 Our server opened the bottle of 2014 Riverain Syrah we brought with us (winery owners Laurie and Dean Gray live in Newport Beach) as we perused the menu and noted a variety of beef selections, ranging from a 40 oz. porterhouse Chianina beef steak ($260) to a Black Angus prime beef filet ($42). However, we were delighted to see a beef tasting option for $115 that included 4 oz of Chianina beef, 4 oz of prime Black Angus, and 4 oz of American Wagyu. 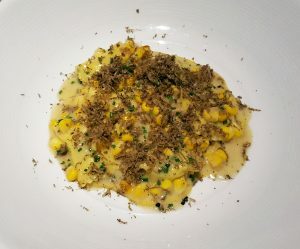 New to the menu was the Polenta Agnolotti ($22), which features yellow corn, summer truffle and goat cheese, so of course we had to order that. Somehow we managed to save room for dessert: chocolate caramel cake ($12) with cocoa nib brittle and caramel. 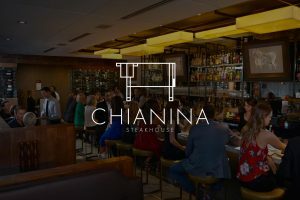 The service at Chianina was efficient and friendly, the ambiance upscale without being stuffy, and best of all the acoustics made it possible to carry on a conversation at normal volume. Chianina was definitely one of our favorite dining experiences of 2017. 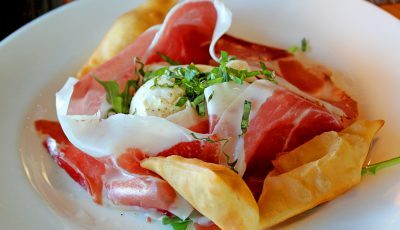 For more information, visit Chianina.com. After a wonderful experience at Chianina, we returned to Naples for dinner at Michael’s on Naples, a block away from Chianina (we learned that they are both part of Michael’s Restaurant Group, which owns both concepts along with Michael’s Pizzeria and Working Class Kitchen,). 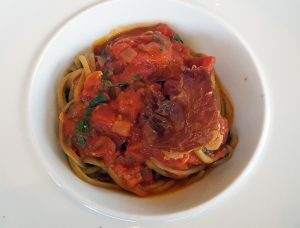 Michael’s is consistently rated as the top Italian restaurant in Long Beach, and we soon discovered why. We heard that the third Monday of every month is Meatball Monday, so we were looking forward to seeing what Michael’s had in the way of meatballs and other Italian dishes. We discovered that Michael’s is two restaurants in one. Downstairs is a more traditional dining area with booths and tables, while upstairs is more casual and lively—which is where Meatball Mondays is held. 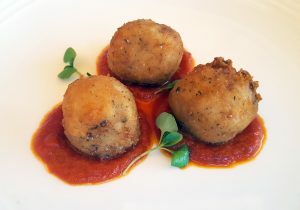 The special meatball menu featured Michael’s meatballs and lamb meatballs ($12 per order of three meatballs), and arancini ($10) with forest mushroom risotto and mozzarella. We ordered the Michael’s meatballs and arancini, then perused the dinner menu. 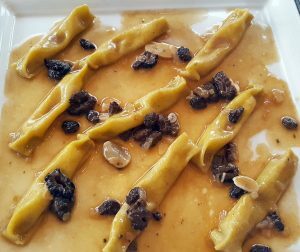 Catherine selected the Scarpinocc al Funghi ($22), which was a Taleggio cheese stuffed pasta with morel mushrooms and a brown butter sauce. 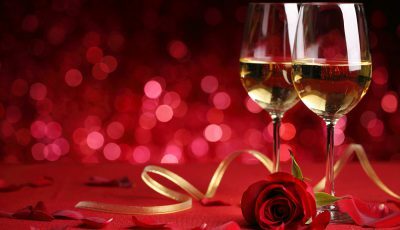 Our knowledgeable server helped us selected the perfect Italian wine pairing for each dish. “They also have a great range of digestivos, a drink served at the end of the meal to aid in digestion, which was something I always enjoyed when dining in Italy and Greece,” added Catherine. We both enjoyed the atmosphere on the rooftop, including the live music. 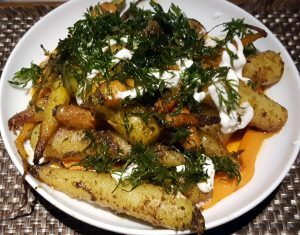 Everyone around us was having a wonderful time, and we felt like we had discovered a fun local hangout that just happened to serve exceptional cuisine in an upbeat environment. After our exceptional dining experiences at Chianina and Michael’s on Naples, we learned that Chef Eric Samaniego of Michael’s On Naples is holding his monthly Chefs’ Dinner on June 28, and he’s invited Chianina Chef Bryant Taylor to join him in the kitchen. 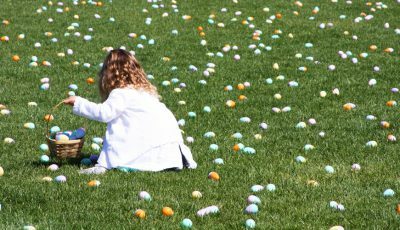 The cost is $70 per person and excludes alcohol, tax and gratuity. Guests have come to expect the unexpected with Chef Samaniego’s Chefs’ Dinner. 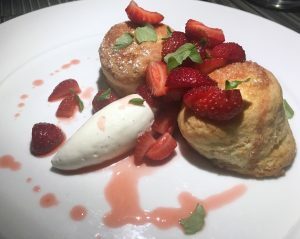 It’s a spontaneous evening where the menu isn’t really determined until a day or two before, and is very much dependent on what the local farmers’ markets have to offer along with Farm Lot 59, the popular Long Beach urban garden that caters to chefs. You can find out the end result by attending the dinner. 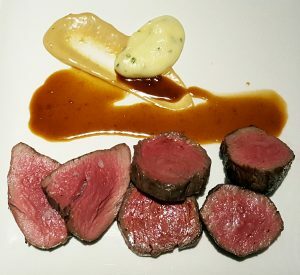 For reservations to the upcoming Chefs’ Dinner, visit michaelsonnaples.com or call (562) 439-7080.